Tired of paying someone else’s mortgage in rent and thinking about investing in your first home? The Thomas Group is prepared to answer your questions and guide you to a successful first experience. The Thomas Group is understanding of the fact that you have a list of questions and might not know where to start. The following is a quick reference guide to try to help you with understanding the process. At the Thomas Group, we’re always available to help. We invite you to contact us anytime so we can assist you in walking through the process. 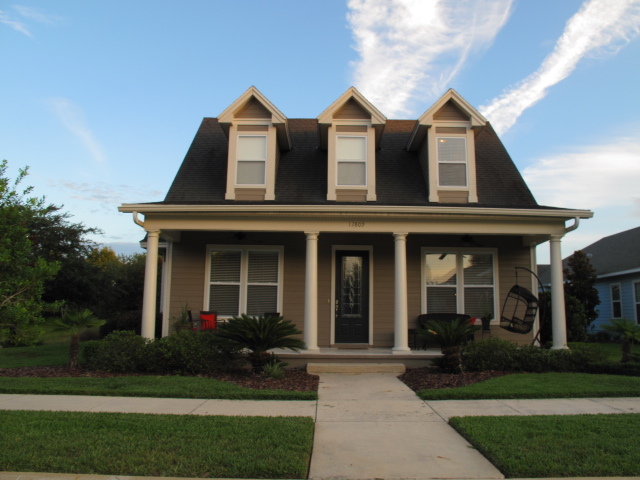 Are you looking to live in a new community in Gainesville or new area of town? Are you looking to buy because of a lifestyle change? When do you plan to move (or want to move) into your new home? How many bedrooms and bathrooms do you want? Do you want to be in a community with specific features or amenities? Are you looking for a newer home or one that you may want to remodel to make it your own? Discuss your answers and thoughts to the questions above with your Realtor at The Thomas Group. They can help walk you through these steps and give you advice throughout the buying process. If you haven’t already, speak with a local lender to get pre-approved and find out what your estimated payments and down payment will be. Most sellers require a pre-approval letter with any offer. Plus, it’s best for you to know up-front what to expect financially. The next step is the fun part! However, with a sometimes-overwhelming amount of inventory out there, buyers don’t always know where to start. Let the Thomas Group help by evaluating your answers from Step 1 through narrowing the list of available houses and giving insight on homes and/or communities that may spark your interest. While you’re looking, make sure to communicate to the Thomas Group the pros and cons to each house so we can continue to learn about what you’re looking for in your new home. We love getting to know our customers and want to find the perfect home for you and your family! Even better than the search for your next home is walking in and finding IT! Sometimes it’s like love at first sight, while with others it’s an analytical thought process. No matter how you choose your next home, we understand that making the choice is a BIG decision and not a light one. Purchasing your home is one of the biggest decisions you’ll make in your life. It’s not only your shelter, but it’s where you create memories, have kids, entertain, relax and enjoy life. Without us, this could be one of the most stressful, complex and destructive steps in the home buying process. So here’s yet another reason to work with The Thomas Group! When it’s time to make an offer, we will show you the sales comparables and assist you through the negotiations in order to get you the BEST DEAL possible. After getting an “Executed Contract” on a home, we will coordinate and assist you with home inspections, repair requests, insurance providers, repair vendors, ordering a survey, approval of any repairs, loan commitment and communication, closing coordination, utility company contacts and more! It’s a Walk in the Park! 8. Congrats! The Keys are Yours! Once you close on your home, keep all of your settlement paperwork, survey and any home warranty info in one place so it’s easy to find. This paperwork will come in handy for potential property tax or income tax deductions in the future. If this is your primary residence, make sure to claim Homestead Exemption. To learn more about this, go to www.acpafl.org or ask The Thomas Group for more information.